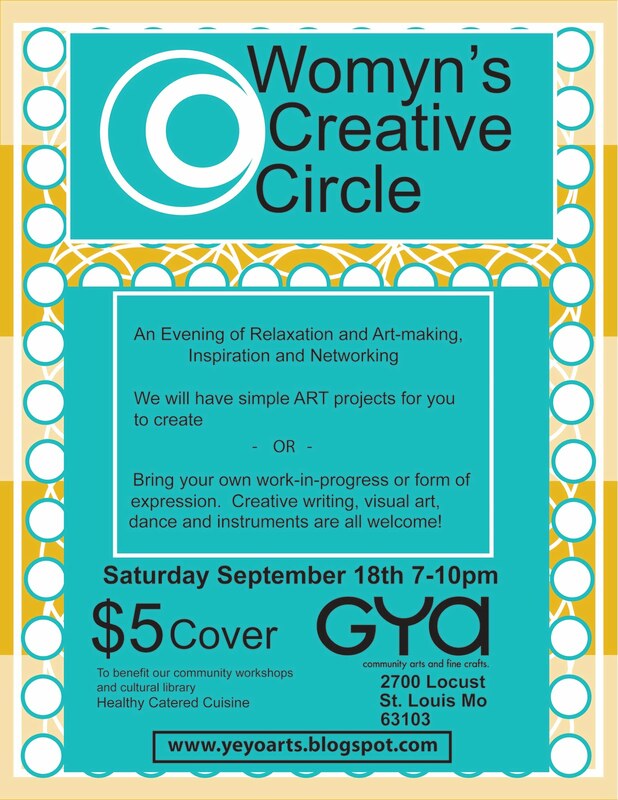 Womyn’s Creative Circle is a monthly art and cultural night where you can create art through collaborative projects set up by YeYo members at Gya or bring your own creative work-in-progress such as a song, a poem, a painting, or even a dance to share with other attendees. This month featured activities will include making a beaded necklace that will be raffled at the end of the night, Henna body art by Anneliese, a thai yoga demo with Nado. Along with our in-house fine crafts for sale we will also have knit hats, headbands and purses perfect for the fall season by Makeeda. Egyptian Tarot will be done by YeYo member Andrea, and the community quilt square table continues from last month. And…personal pizzas and salad from Master Piezza will be available for purchase. 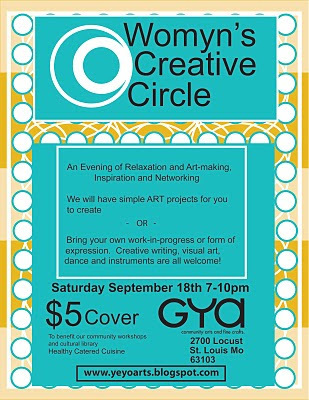 So, come on through, relax, be creative, be yourself, and join the circle.